A sneak peek at a couple of things I’ve been working on this week. 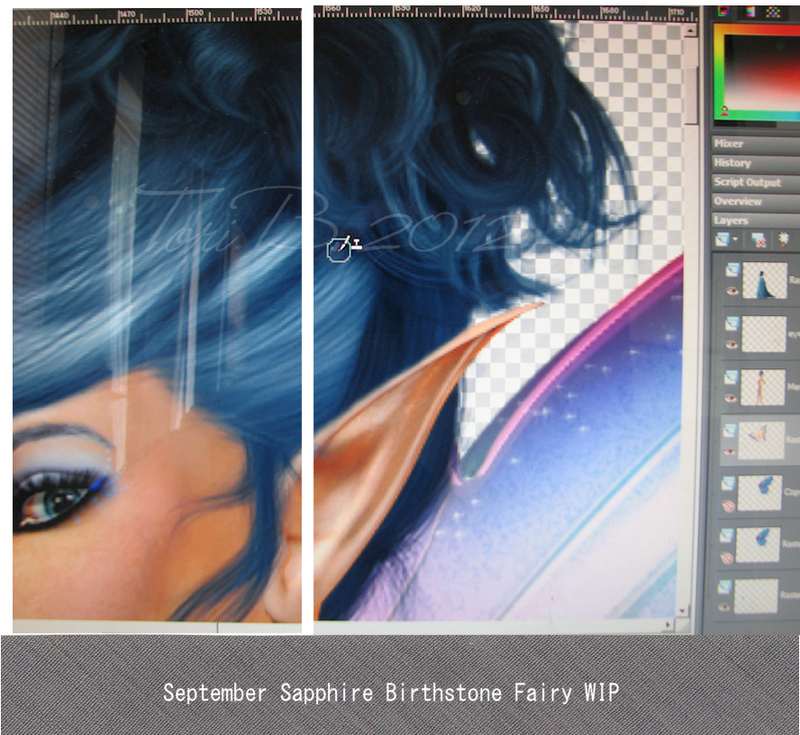 First, September’s Birthstone Fairy, Sapphire. She is beautiful. Trust me on this! Working in PSP here. I also have PS open at all times and switch back and forth between the two as I work. Second, a Crudoodle WIP, sketched and scanned in and waiting to be cleaned up. This cutie will be one of the first Crudoodle Digital Stamps for sale in my new Crudoodle store, opening very soon… Stay tuned! Posted in Tori Beveridge and tagged art, artwork, birthstone, Crudoodle, Crudoodles, digi stamp, digital art, digital stamps, doodle, fae, fairies, fairy, Tori B. Looks intriguing…can't wait to see more of the pretty fairy. Visiting from AIB. Looks amazing so far! Look forward to seeing more.